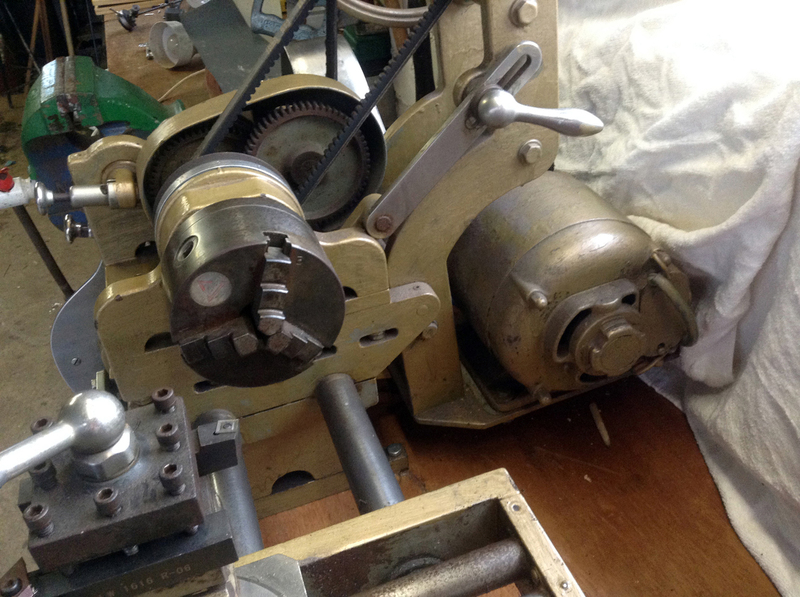 Of unusual design, even for a bar-bed lathe, this backgeared and screwcutting "unknown" appears to have been built up from rather well-finished castings bolted together. 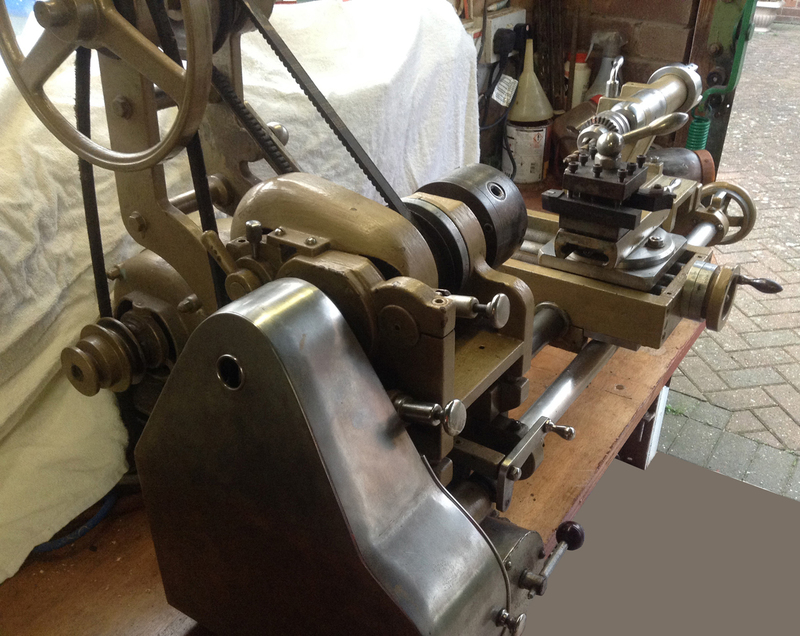 With a centre height of around 6 inches and a capacity between centres of perhaps 20 inches, the lathe's headstock, carriage and tailstock were carried on two bars with the covered leadscrew, driven by changewheels covered by an elegant guard in polished cast aluminium, set across the front. 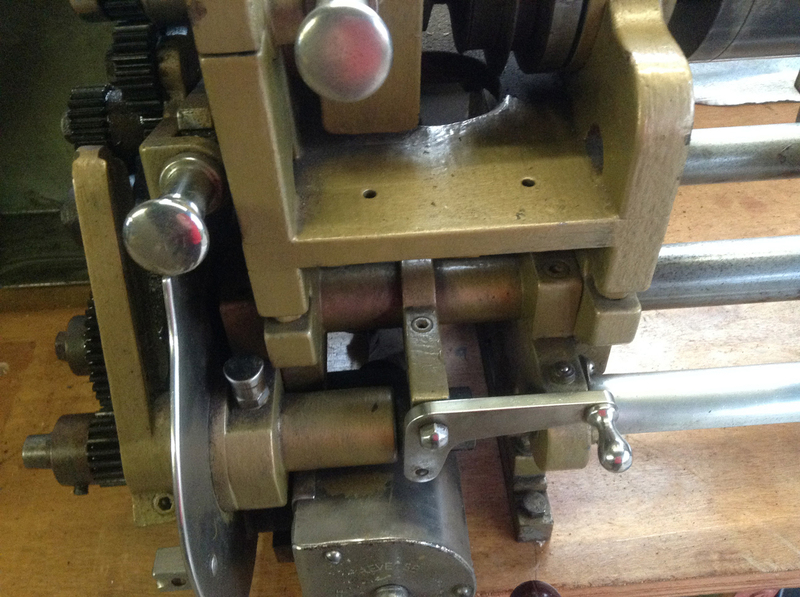 As the leadscrew nut was a "full" type, drive to the carriage was controlled by the usual simple dog clutch mounted at the left-hand end of the leadscrew. 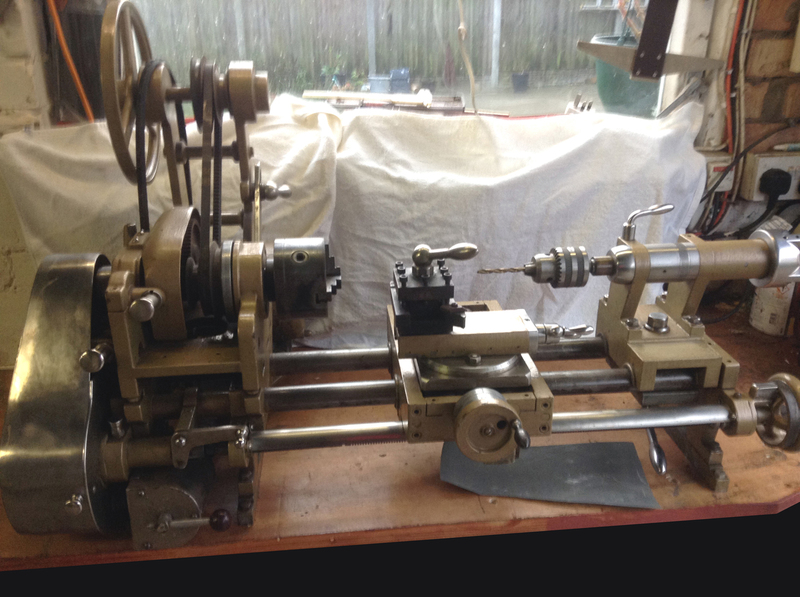 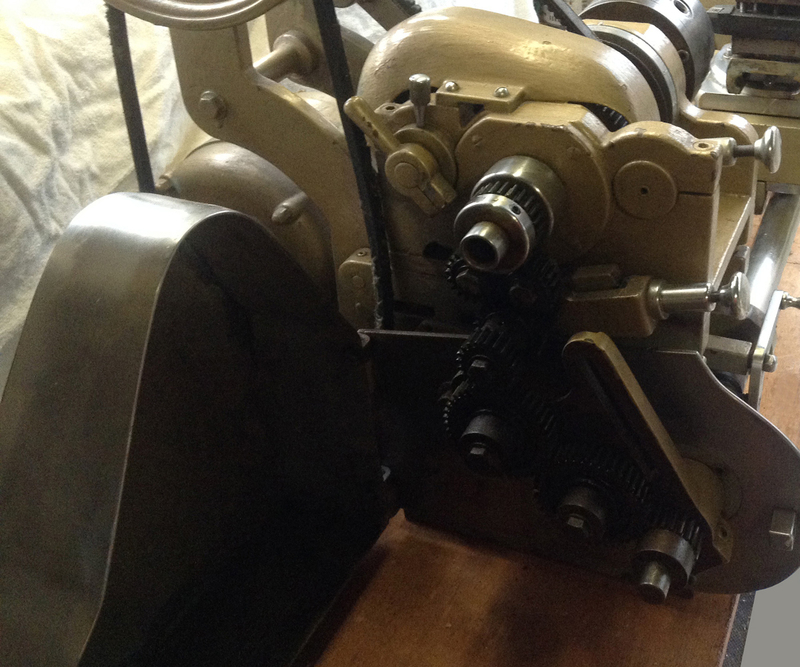 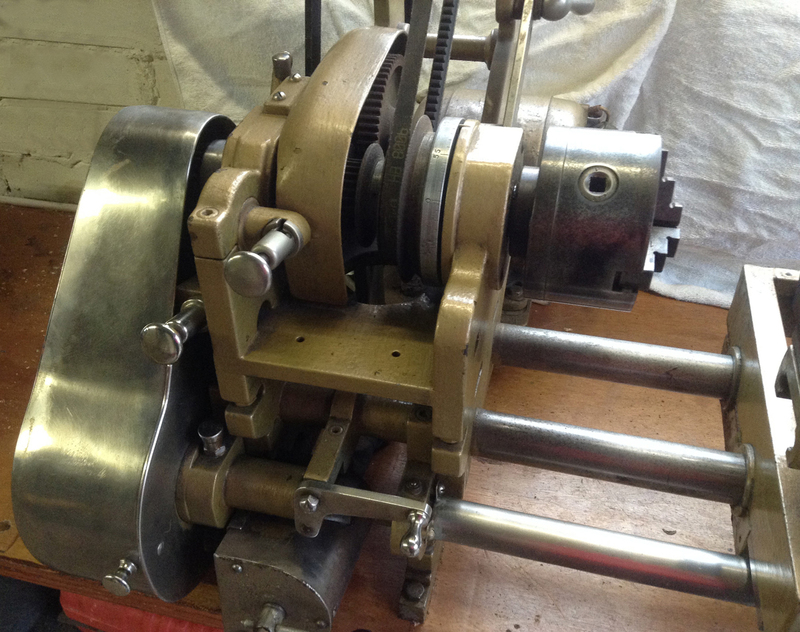 A built-on, ball-race, 3-speed countershaft was fitted, drive from the motor being by a V-belt running over a narrow flat pulley - just like many examples of the South Bend 9-inch and one Faircut model - and then by a 3-step V-pulley to the headstock. 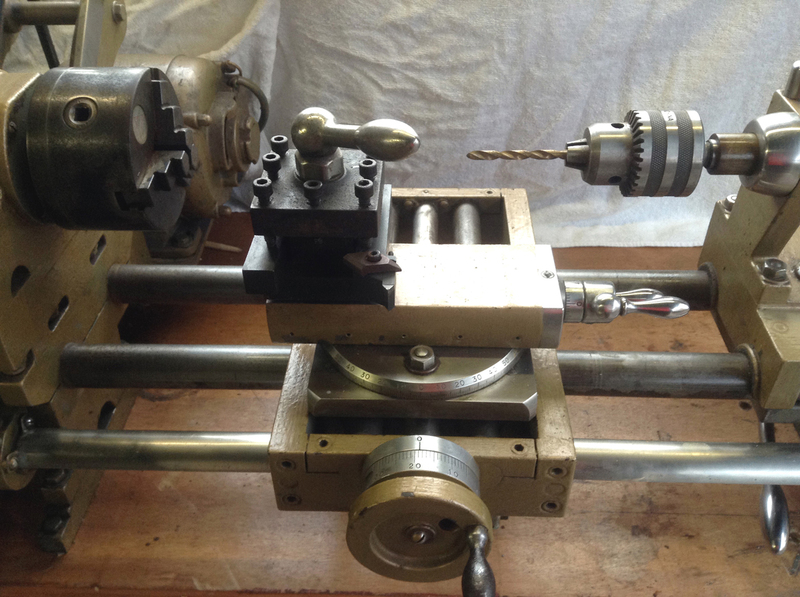 Spindle indexing was fitted, the indicator ring being mounted just inboard of the front bearing and the indexing pin carried on a forward extension to the left-hand bearing.